Departments of R & Dto improve mechanical ,design and functionalitywith focus on energy saving . Compliance with the highest quality standards for : design, construction , installation and after sales service. Integrated planning and keys in hand on time and costs. Compliance with the regulations of each product in each country , for maximum security . 35 years of history with a consolidated know-how and evolving. Standardization and personalization: design and production flexibility in all accomplishments. Structural quality and attention to design, every product is designed to be integrated harmoniously with the environment. 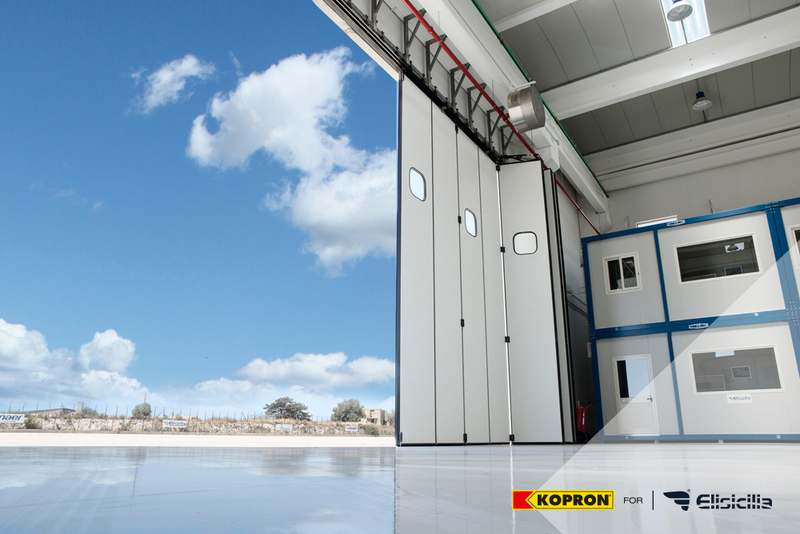 At Pozzallo near Ragusa in Sicily, Kopron designed and installed a folding door especially produced for a hanger and retractable warehouses to create more space. 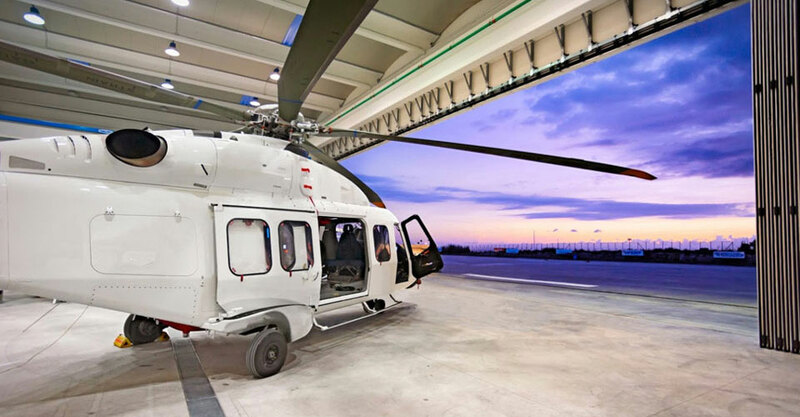 Elisicilia, is a leading company in the sector of Safety, Emergency, Risk Management e Fire Fighting Services and also in air transport.The CEO of the company chose the unique integrated logistics solutions proposed by Kopron. Customer was followed from design to production. 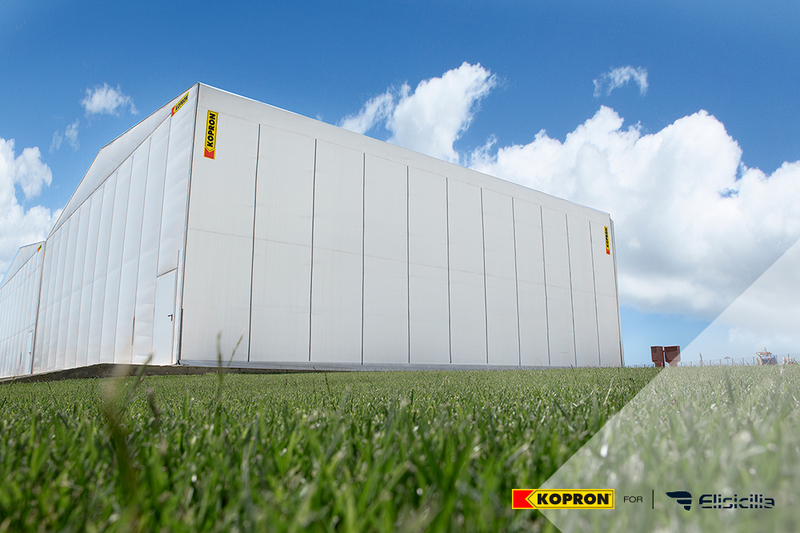 Kopron production pole dedicated to doors located at Molfetta near Bari, produced a folding door with ground guides twenty-five meters large. The door is automatic and can be opened either from one side or the other. It has a pedestrian door and other advanced automatisms such as an audible opening/closing warning device, and a mechanical unlocking device to use in case of power failure. Supply was completed with two warehouses in steel body and a PVC tarpaulin cover, stretching over an area of 300m2 produced in very little time to create space for storage. The warehouses are situated not far from the sea, where strong winds blow, but thanks to precise structural calculations, these structures are as safe as any other masonry structure, but with the advantages of a steel body. 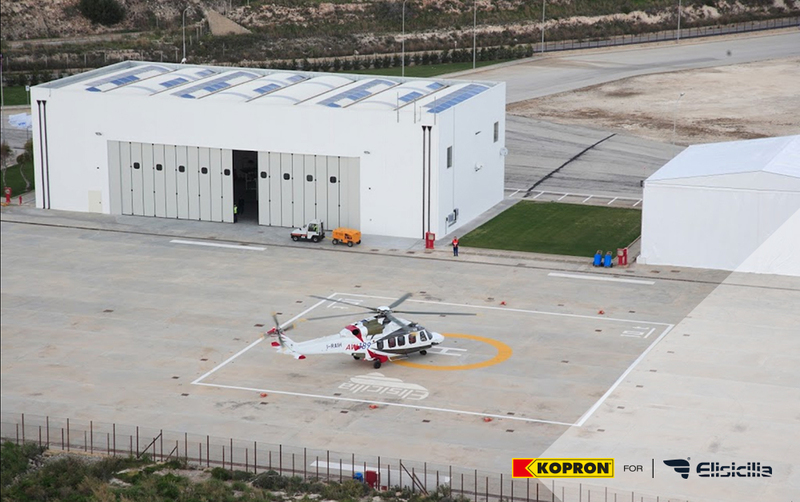 The work done was very successful even due to the accurate installation carried out by Kopron partner Mr Luca Peluso, who is able to guarantee to Customer local assistance and support. 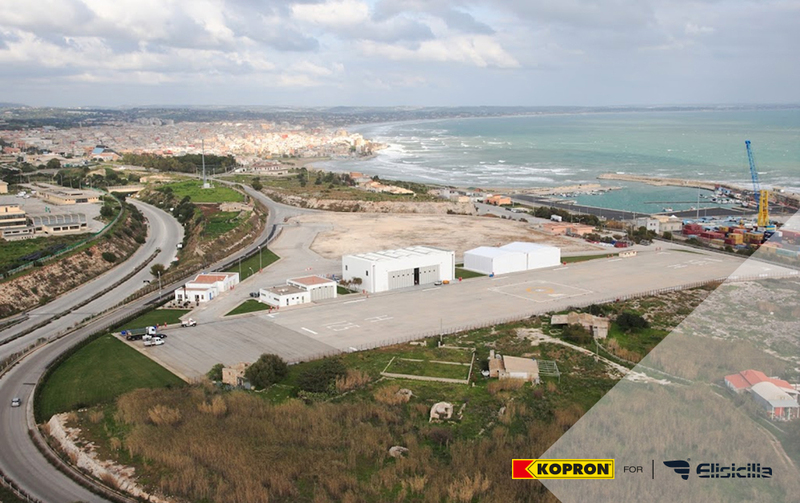 Mr Enrico Bambace, Kopron production manager at Molfetta, said “there we have another Customer satisfied thanks to proper design and production support received, according to his specific requirements”. Would you like to receive updates on our products and promotions?.